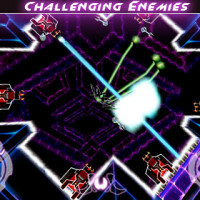 Cyber Circuit is a fast-paced action-shooter game that is sure to please most iPhone gamers. 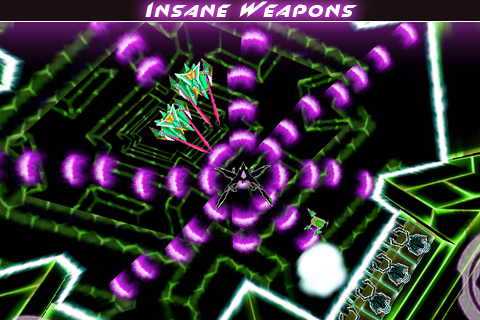 Cyber Circuit is unique in that it is an arcade shooter but with RPG elements. 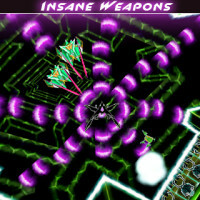 However it includes many features that are classic to arcade shooters. The game takes place in a retro style future where a human-made computer has gone rogue. It is now up to the character to stop the rogue machine by destroying it. 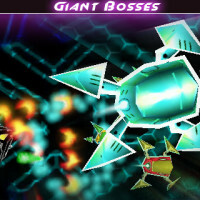 Players take the role of a lone ship that is used to destroy enemies throughout the 30 levels included in the game. 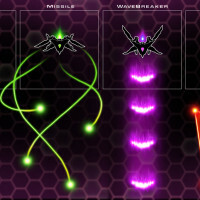 Among the levels are five different worlds that players will travel through encountering new and more difficult enemies. 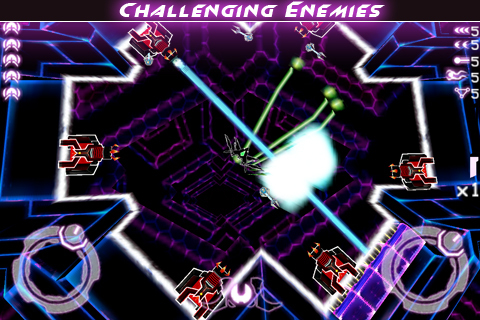 The ship that players pilot is constantly shooting the primary weapon, so this leaves players only responsible for maneuvering, of which can be rather tricky. However even with the many levels, the game play can become repetitive and I just did not enjoy the game as much as I thought I would. 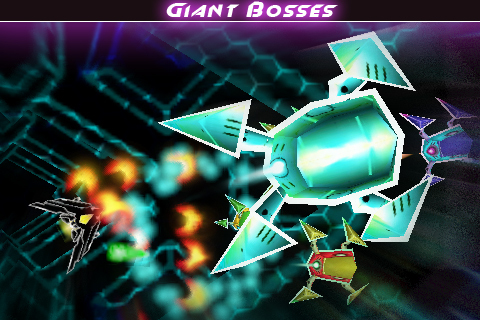 Along the way, players will have the ability to upgrade the ship and receive special weapons which greatly help against the world bosses. As players complete levels and worlds, scores are tracked using OpenFeint. The controls are classic 360-degree controls but they can be rather difficult to use. Using an arcade joystick to spin the character around versus using your thumbs is very different. One controller is used to move your character around and the second controller is used to spin the character 360-degrees, essentially controlling the line of fire. In-app navigation is clean with an option for a tutorial that is recommended for all players. 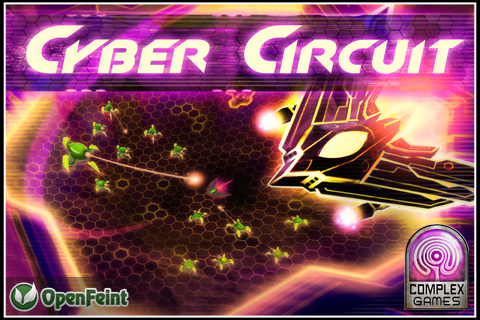 Cyber Circuit includes some great retro style arcade game music which works really well with the game play. The included sound effects are also very good. However it is the 3D visuals with their retro-look and feel that I like the most. It goes to show that good game visuals need not always be absolutely amazing, as old school is sometimes good! 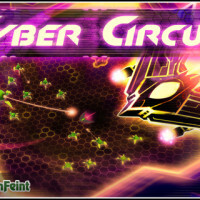 Cyber Circuit is scored a 2.5 out of 5. Cyber Circuit is available on the iTunes App Store for free and includes a full version upgrade via in-app purchase for $1.99.